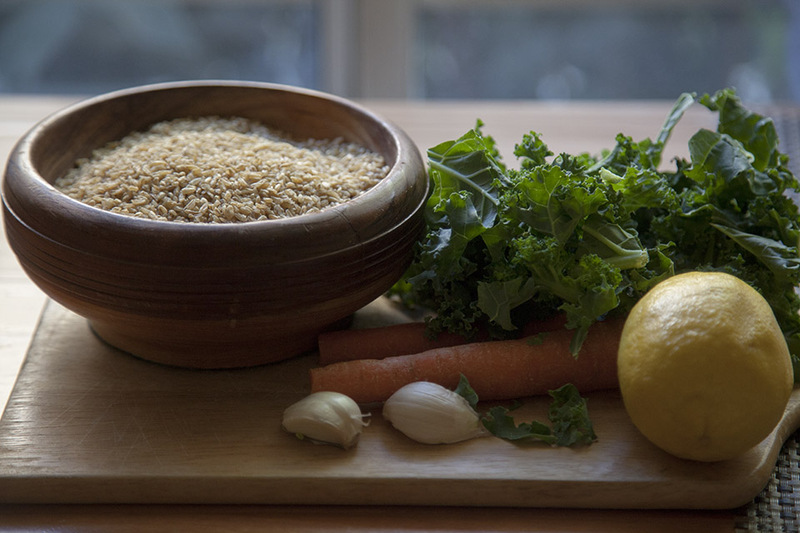 Boil water in a saucepan and add bulgur. Cook for 15 minutes or according to package instruction. 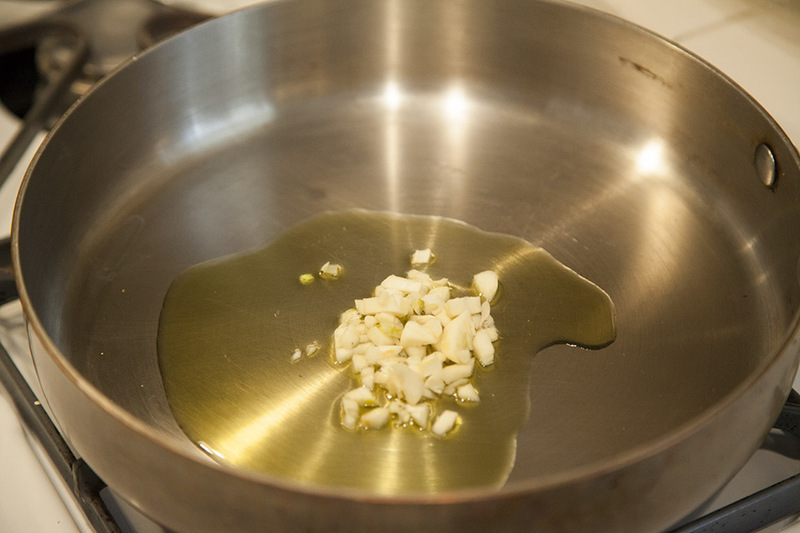 Meanwhile, warm an olive oil over medium heat in a large skillet. Add garlic and red pepper flakes. Sauté until soft, but not colored. Add kale and cook stirring for 7-10 minutes. I like when kale is crispy. 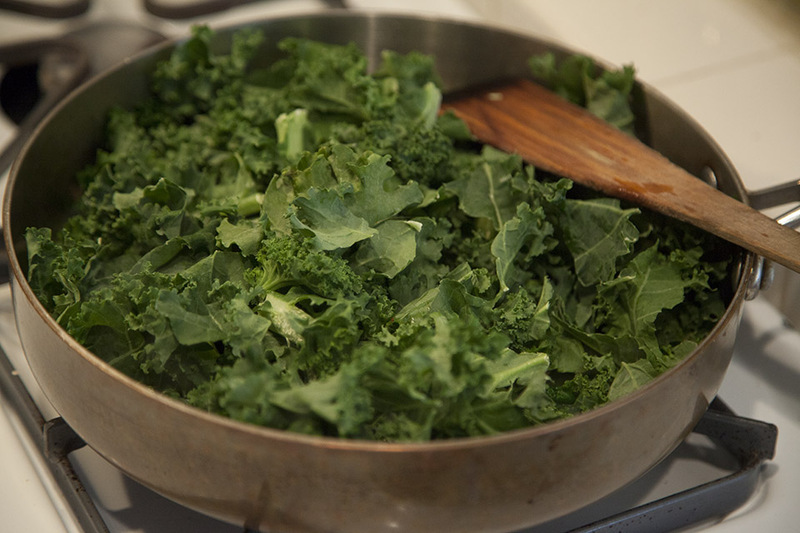 If you want kale to be soft, then add a couple of tablespoons of water and let it cook longer, until tender. Transfer kale to a large bowl. 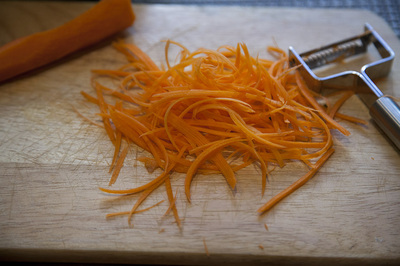 Stir in bulgur and carrot. 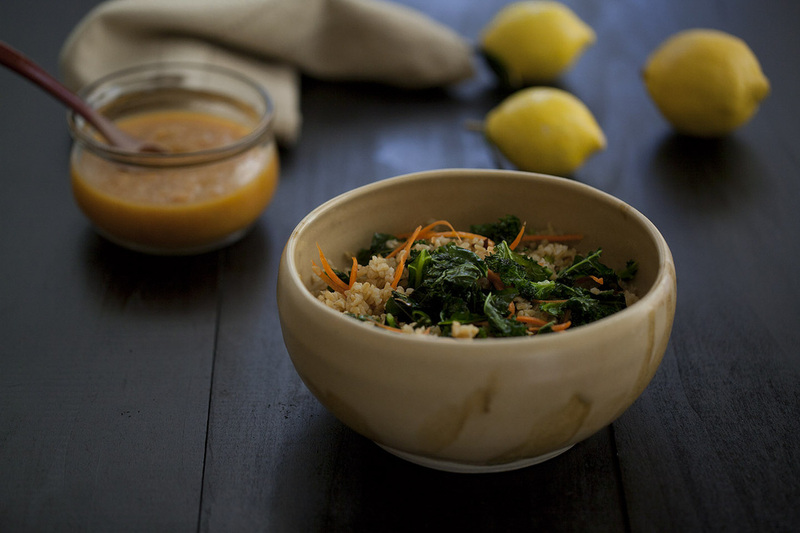 Pour dressing over kale, bulgur and carrot mix and toss well. Allow dish to sit for 5 minutes and serve warm. You can also serve it cold. Serve sprinkled with chopped fresh parsley.